English｜Association to save the guy - Heart transplant to the mother! 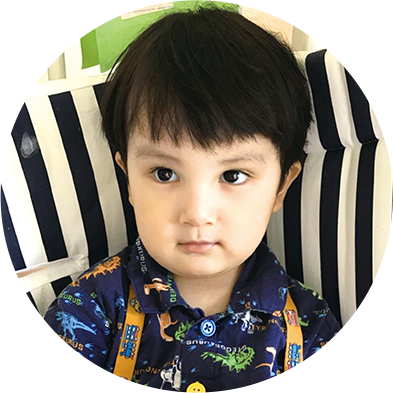 Osuke, called O-chan, was diagnosed as Dilated Cardiomyopathy when he was 9-month old, and he and his family are still fighting with this disease to live. Heart transplant is the only way to give him a chance to live, but taking heart transplant in the U.S needs substantial funds. We do want to help him and his family, give him a chance to live, and allow his family to live all together. To that end, we've set up this organization,"SAVE O-chan PROJECT," and decided to start fund-raising for him. We deeply appreciate your understanding and warm supports. We have closed the donation acceptance. Osuke was born in Tokyo. Symptoms like cold has been continued long time, so we took him a general hospital. And then, he was transferred to an university hospital next day since he was diagnosed as a serious acute heart failure. After detailed examination, he was finally diagnosed as Dilated Cardiomyopathy. He was transferred to a special hospital for medical therapy with medicine. Registration to Japan Organ Transplant Network. He was transferred to another special hospital to operate for EXCOR, a mechanical pulsatile ventricular assist device. Pump replacement operation was executed. O-chan is living thanks to EXCOR right now. Heart transplant in the US is the only way to save him. 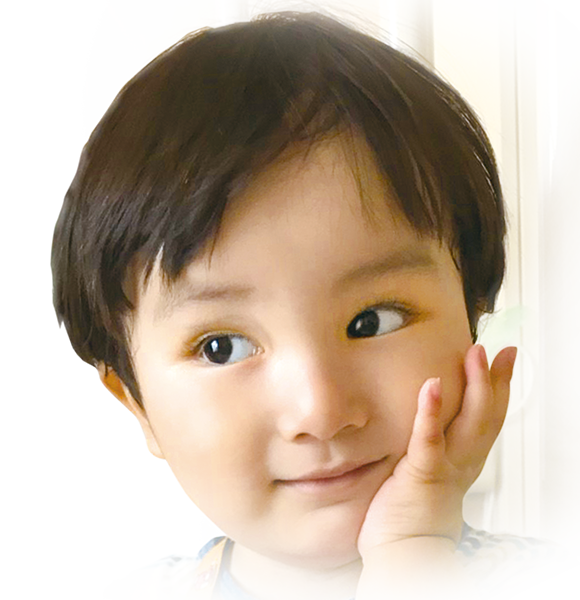 We really appreciate your supports to help my son, Osuke, and also appreciate to set up this organization,“Save O-chan PROJECT”, to give us a chance to help him. Osuke was born on July 23th, 2015 with 2,810g. He drank milks a lot and grew up well. 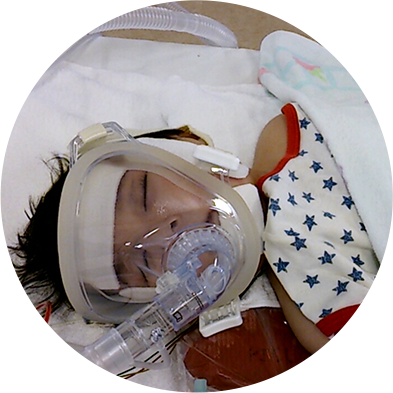 Suddenly symptoms like cold has been continued since he was 8-month old and we took him a hospital couple of times. But he couldn’t get well. On May 2016, we decided to take him a general hospital since his symptoms got worse day by day.At this visit, he was diagnosed as Dilated Cardiomyopathy and transferred to an university hospital on that next day. Although we spent time together like usuay until yesterday, he was hooked up to a drip with respirator. Completely changed his appearance made us upset and we could not understand what happened. His doctor told us that his disease was “Dilated Cardiomyopathy”,which is one of intractable diseases and heart transplant is the only way for its treatment in case medical therapy doesn’t work. After continuous treatment at ICU for around a month, he started medical therapy with medicine. This medical therapy needed a strict water limitation and this limitation made him suffer a lot. After a few months since the start of the medical treatment, his doctor told us this treatment wouldn’t work any more. At the end of October 2015, given that his heart function got weak, he needed an oxygen mask and sedation with medication. His doctor recommended EXCOR, a mechanical pulsatile ventricular assist device, to support his weaken heart, and then we agreed without time to think well about the operation to implement the EXCOR. He got well thanks to implementing the EXCOR, which gave him an opportunity to take foods and water freely. His weight has increased day by day and his life changed from just spending on his bed to almost usual child lives, such as playing toys, eating foods, sitting on a chair, and even walking a little. However, depending on the EXCOR is a perfect way to treat him. EXCOR brings possibility to create blood clots, so this increases brain infarction risks. Also, he needs to take medicines for preventing a clot, so this brings brain hemorrhage risks. Of course, infection disease are also inevitable. 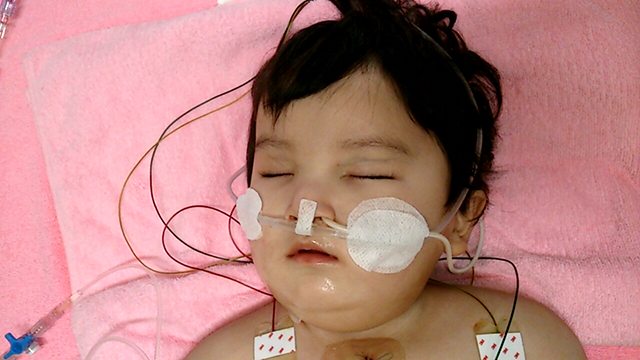 We his parents thought a lot and chose to wait for an opportunity of heart transplant in Japan. During this two years since we waited, Osuke grew up well. However, his life with EXCOR is mainly on the bed all the day. He never remembers the world outside of hospital. Although he sometimes walk outside of his room, he needs assistance a lot from his doctors, nurses, MEs, therapists, and so on. Osuke knows only the world inside hospital, hence he cries even when the wind blows. He never knows greatness of the world outside of hospital. His senior brother met Osuke again eight months after Osuke was admitted to the hospital. Visitation is permitted only for over junior high school students based on his hospital's policy, so they can meet together when Osuke is allowed to go outside of his room due to rehabilitation and so on. When his senior brother met Osuke, he said with great smile, "I wanted to touch his hands. I wanted to up him". 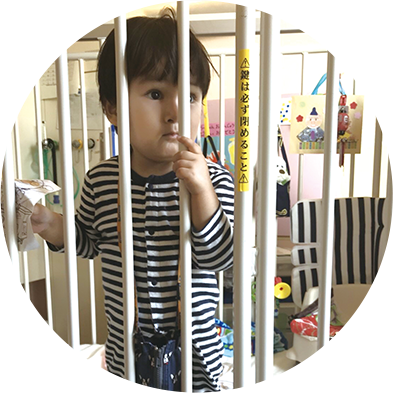 Although he always feels lonely since his mother is with Osuke in his hospital to care him, he said, "I like Osuke the best". For this kind senior brother, we parents come to think of spending together again. Opportunities of heart transplant for under teens in Japan is quite low even though the related law was revised in 2010. We waited the opportunity for around two years and faced the current severe situation, so decided to set out to seek heart transplant opportunity in the US. And then we finally got a permission from New York-Presbyterian Hospital thanks to his doctors.  However, heart transplant in the US costs too much since an insurance doesn't cover anything, so we need your help for its fund. 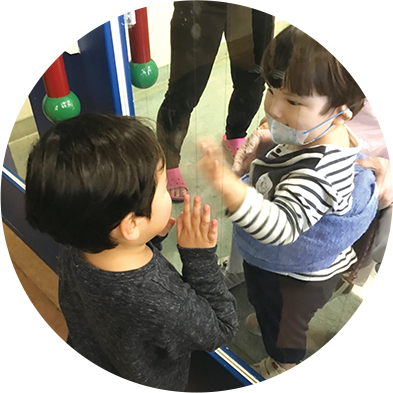 we understand our thought is self-centered though, we do want Osuke to show the world of outside of hospital, to walk to wherever he wants, and to play with his senior brother. On top of all that, we cannot get Osuke's life out of our minds. Could you give Osuke a chance to live, please? 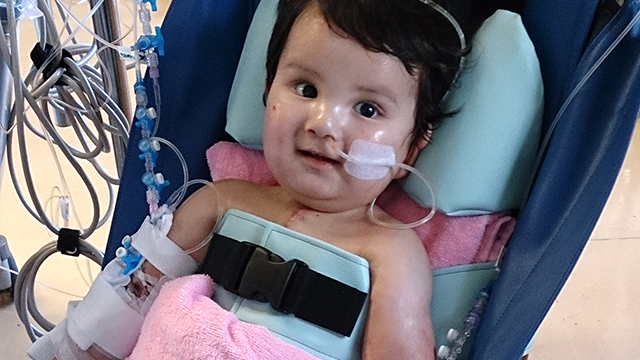 We need your donation support for Osuke’s heart transplant. it is operated by volunteers.